Full Disclosure: I received a pair of Yaktrax free of charge for the purpose of providing a review. My opinions are completely my own based on my experience. I love snow... seriously... being a Southern girl from MS, and now living in PA, I still get super excited at just the mere mention of the word snow. So, when we got 30 or so inches (The Blizzard of 2016) I was thrilled. But I also found out the hard way that it's not always easy to walk (or run) in the snow or when there is re-freeze and it's icy. I have fallen numerous times. When I pulled them out of the box, I was a little intimidated that they might be hard to get off and on my shoes. Well, I was worried for no reason. The Yaktax were super simple to put on. It really was as easy as the instructions stated. I don't have a lot of hand strength, but I was able to get them off and on without assistance. And with the strap over the toes, I didn't have to worry about them falling off. Although the yaktrax run are for snowy/icy road conditions, I did test them out on the trail. I wasn't able to get out when we had snow on the roads, and I really wanted to test these. So, I took them to the trail. Parts of the trail were already clear of snow, but some places there was still snow (and ice). And trust me, I could could tell the difference with the yaktrax. I didn't slip once! And I also felt super confident knowing that I had a better footing with them than without them. 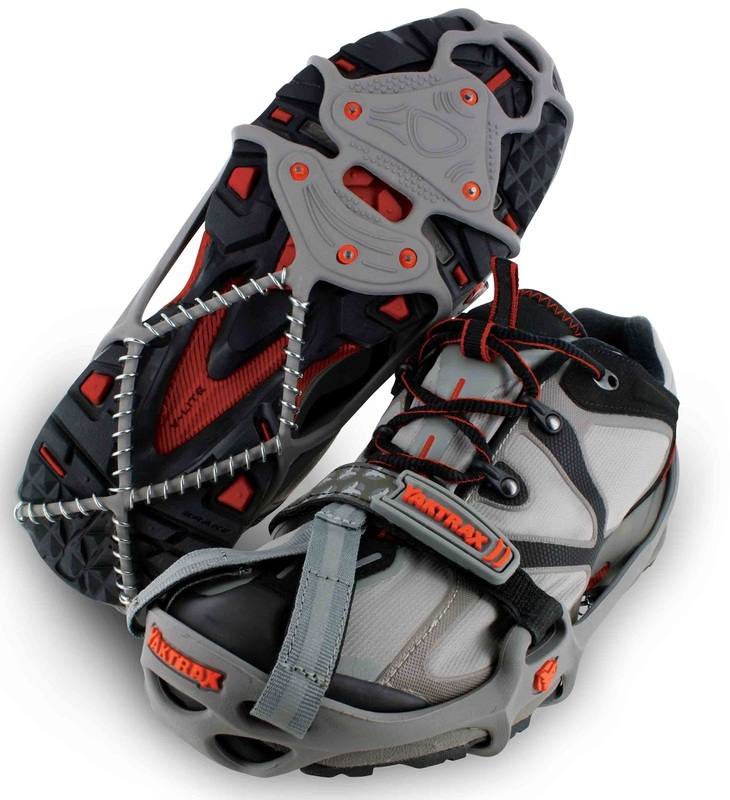 Would I recommend yaktrax? Most definitely! They made a big difference for me. And I really think they will for you also. Did you feel the wires under the shoe? I considered getting something like this, but my Nike Free shoes have a very thin sole... I opted for my trail running shoes. I didn't. I was wearing an older pair of asics though. I know the nike free shoes do have a very thin sole. I have trail shoes too, but I've found that they don't really help in the snow/ice. I'll have to try them on with my nike free and I'll let you know if I can feel it when I walk.